All my handwoven scarves are made to add an elegant statement to your wardrobe or to give as a gift to that special someone. 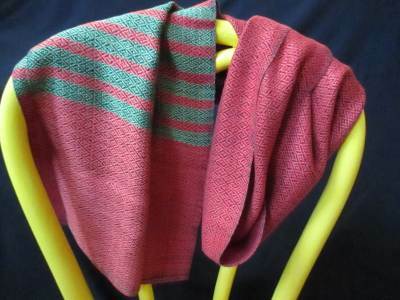 I use a variety of eye-catching yarns that add sparkle, drape or drama to every scarf. Some of my favorite yarns for scarves are cotton, tencel and bamboo. All art, art images, Logo & content copyright © by Kate Dopheide. All rights reserved.